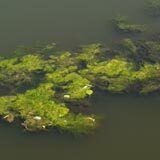 For technical purposes, we differentiate into 4 groups: algae, floating aquatic plants, submerged weeds, and emergent weeds. Here is our definition and some examples for each. Primitive plants closely related to fungi. No true leaves, stems, or root systems. Over 20,000 species have been identified. There are three primary forms in the ponds we treat: planktonic, filamentous, and attached-erect. Bio Lake Clear and EcoSocks are quite effective against all of these forms. For one, they derive all of their nutrient directly from the water. And they only use simple nitrogen and phosphorous forms, and lack the ability to draw nutrients from soil or elsewhere. These species are the most closely related to bacteria, and use similar nutrients. 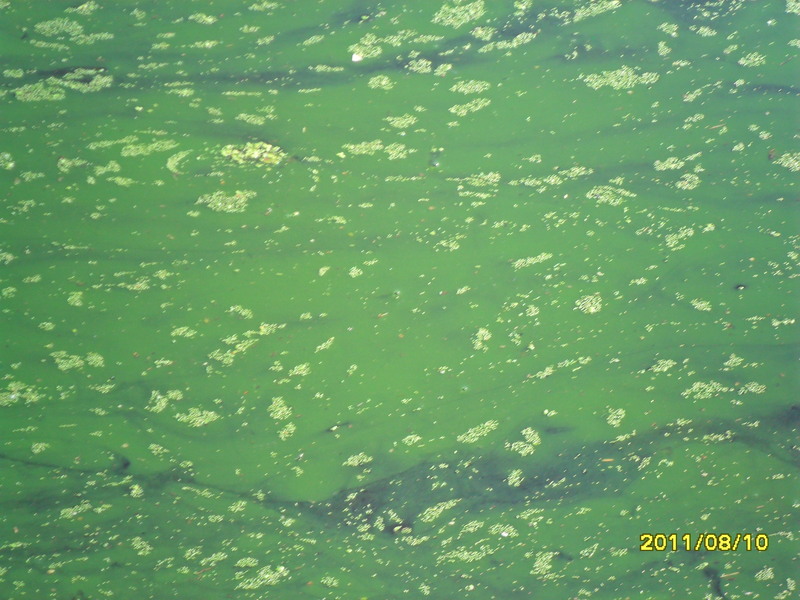 That is why BLC competes very effectively with algae. These float on the surface and are rooted on the bottom of the pond. Free floating plants are also sometimes included in this group. Includes duckweed, watermeal, water hyacinth, water lilly, watershield, and so on. In general, the more vascular plants such as the water lillies, hyacinths, and so forth are not affected by product use. submerged. These are usually flaccid, and lack rigid structures. Common species include pond weed, milfoil, and elodea. This is largely because there are two mechanisms for the reduction. 1. Bio Lake Clear / EcoSocks compete with the weeds for N and P nutrients. Product use decreases the nutrients that the weeds need to grow. 2. Bio Lake Clear / EcoSocks begin to digest the organic sludge. This is where the submerged weeds such as milfoil take root. By digesting the sludge, the milfoil root system is weakened, and together with nutrient reduction, milfoil is suppressed. Be sure to start treatment as early as possible in the season to ensure optimal results. 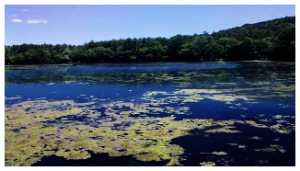 Early treatment will result in 50% or better suppression of milfoil without use of toxic chemicals.